Picture for a moment how much a to-go order can disrupt a lunch-rush. Tables are full, servers are scrambling – and all of the sudden, the phone rings. If you’re a restaurant owner, you might have heard about the possibility of getting an app for your business. Apps may seem like a “neat” invention for corporate restaurants that are already nationwide and have their food service procedures down to a science. But what about yours? 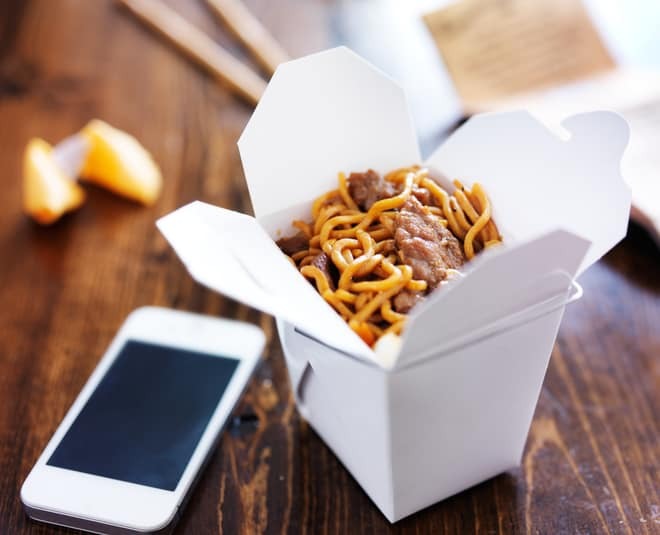 In-app ordering is exploding in the fast-food industry. And rightfully so. Dominos, Starbucks, etc. and countless others have already taken the leap. They realized that making ordering simple and on the customer’s terms is not only convenient, but also boosts revenue for the company in question. Will I be able to afford a mobile app? Will the app be worth the investment/pay for itself? Will I be able to convince most of my regulars to download it? Let’s address the first objection first. At GrowIt, we believe the benefits of having an app is something that most restaurants willing to invest in some sort of marketing can afford. It is true that an app is not a free tactic, but depending on the structure we offer one of the most reasonably priced applications on the market. Secondly, we believe that every dollar you put towards marketing should count. As a smaller business ourselves, we also assess what expenses are necessary when it comes to putting our brand out there. But an app is so much more than advertising and building brand recognition (though both important things). An app can drive more business to you using in-app ordering and payment. Picture for a moment how much a to-go order can disrupt a lunch-rush. Tables are full, servers are scrambling – and all of the sudden, the phone rings. One server must drop everything he or she is doing, take the call, and put in the order. Sometimes, customers like to take quite a bit of time ordering to make the right choice, and asking the server questions in the process. So while all of this is happening, a server is becoming gradually more stressed because he or she is neglecting their tables while trying to be patient with the customer on the other side of the phone. What if they had an app to use as a more efficient interface to place this order? According to recent studies, more and more consumers are ordering online. AYTM said that 25% of frequent restaurant-goers are switching to in-app ordering. Many corporations reported that after the first year of having an app, over 30% of orders were then taken on the app instead of in person. Having an app where a customer can complete their order and pay with a debit card can boost efficiency for your workers and, in turn, the person you are serving will appreciate the convenience of being able to complete a detailed order, on their own time, with ease – and securely pay for it. This method of ordering can minimize mistakes, maximize efficiency – and therefore reduce costs of fixing mistakes, and boost revenue by completing more orders. Lastly, if you are a family-owned establishment, you are acquainted with your regulars. They keep you alive during the slower months and always bring their friends with them. So why not reward them with an app? Every time a table of people walk through your door, have your servers tell them about the app where they can not only place to-go orders, receive rewards, and have a chance and hear about promotions before anyone else.